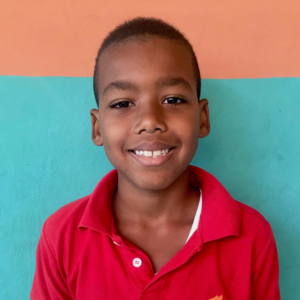 Alexander Sepulveda Mieses is 8 years old and in the Third Grade at the public school in La Represa. He lives with his grandmother and uncle. His father passed away and his mother lives outside of the community. At this time, it is unknown if there is a Christian influence at home. Alexander’s favorite school subject is physical education. In his free time, he enjoys playing baseball and is part of the baseball ministry. He also likes to play soccer and swim in the river. When he grows up, he wants to be a baseball player.